The easiest way to get a good, clean cut in hardened steels. Perfect for altering 1911 slides for low mount style rear. (Cut most of slot with mill, finish with dovetail cutter.) 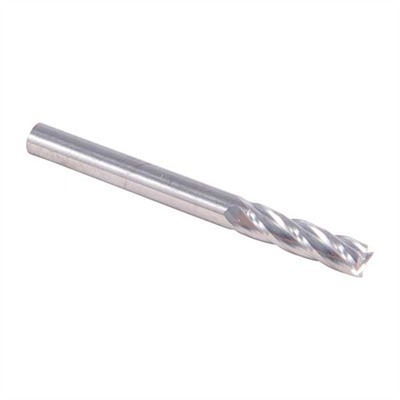 Gives extended tool life when used in softer metals. 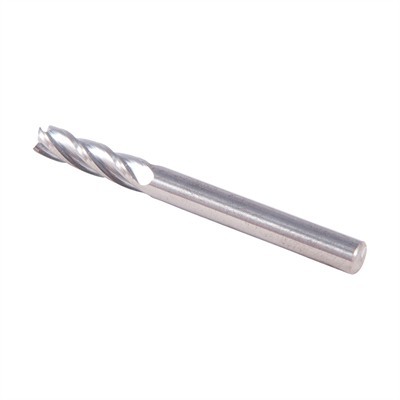 3/16" diameter is the right cutter to use when converting Remington M-700 bolts to accept Sako-style extractors. 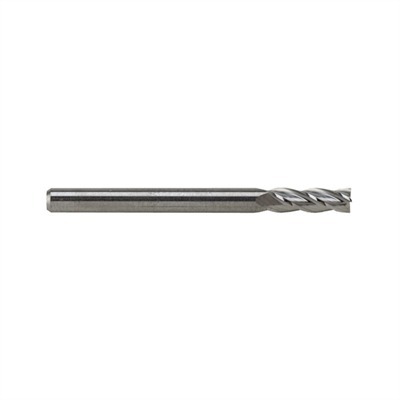 SPECS: Hardened carbide steel cutters. 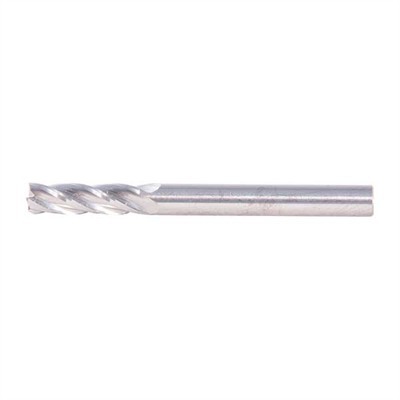 Available in 3/16" (4.7mm) diameter shank with 5/8" cut length or ¼" (6.35mm) diameter shank with ¾" cut length. 4-flute. Size Please Select 1/4" 1/8" 3/16"